The White Cottage, Nr. Plaxtol, Kent. From its elevated position The White cottage enjoys the most wonderful vista looking out over the Kent countryside, with Tonbridge in the distance. The view together with the delightful character of the original cottage were the reasons for the current owners to purchase the property. The original timber framed cottage has been extended and adapted on numerous occasions that last completed in 2014 under permitted development. However the extensions from 2014 added space rather than creating a coherent home. Our proposals which were granted planning permission in September 2016 remodels the house to create a great family home through sensitive interventions and adaptions to make the dwelling read as one coherent home that flows internally and sits comfortably in the landscape. 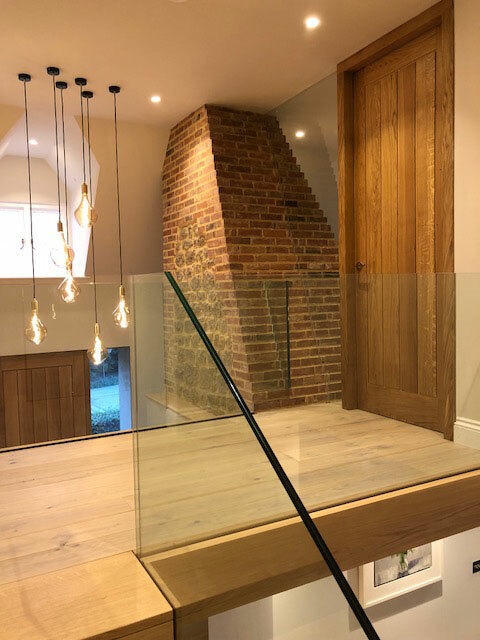 The 1st floor is completely remodelled with a wonderful double height entrance hall with glazed gallery and additional sleeping accommodation to make the dwelling more accommodating and balanced in regard to living and sleeping accommodation. Existing - Image at rear showing additions from 2014. Proposed - Remodelling of property to use vernacular materials and create unified home. Client photographs of living room corridor July 2018. Contemporary extension and refurbishment of Grade II listed house. We consider The White cottage to be the final part of a trilogy of projects. 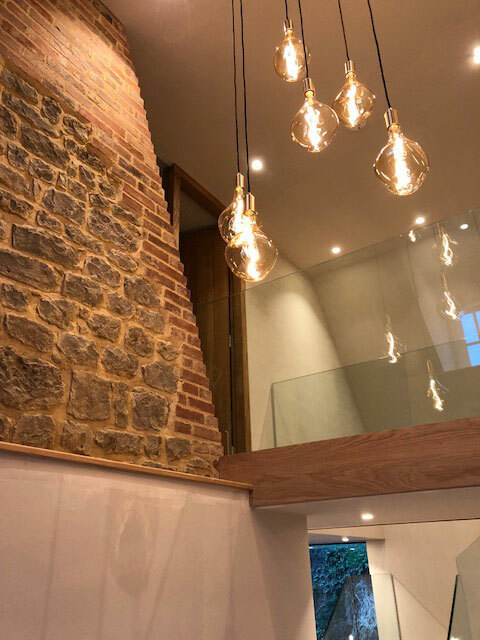 The other two projects comprising of Dux Barn and High Crouch where vernacular materials combine with more contemporary elements to highlight the beauty of the original. Refurbishment of Grade II listed barn.